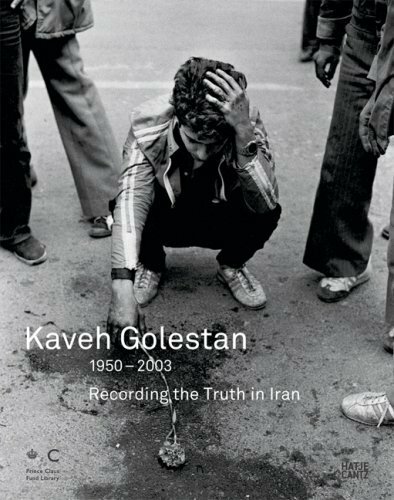 On April 2, 2003, while on an assignment for the BBC in northern Iraq, the Iranian photographer Kaveh Golestan stepped on a land mine and was killed. A photojournalist since 1972, Golestan had witnessed the recent history of his country like no other and had been a tireless chronicler of its conflicts: he documented eight years of war with Iraq (including Halabjeh in 1988) and the repression of the Kurds in both Iran and Iraq. Of his aims, he once declared, “I want to show you images that will be like a slap in your face to shatter your security,” an approach that increased both public awareness and public discomfort, at home and abroad. Golestan photographed for Time magazine and was awarded a Pulitzer Prize for his coverage of the Islamic revolution. He was also honored with the Robert Capa Gold Medal in 1979 (although, because of Iran’s political climate, he was unable to collect this prize until 1992). A testimony to a courageous achievement, Recording the Truth in Iran collects Golestan’s powerful images for the first time. Text: Bernhoud Masoud, Golestan Hengameh et al. pp. ple; BW ills. ; hardcover. Publisher: Hatje Cantz Verlag, Ostfildern, 2008.